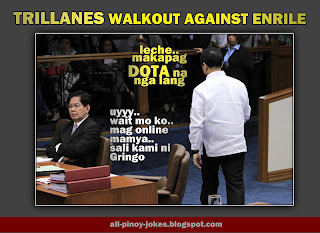 A Crook is always mad with his fellow crook, this what's mostly happening in Philippines Politics specially when you both party shares a lot of background. Don't want to dig the history but these two guys have a lot of commons so no wonder how they both know how to aim their vitals. Between the two is like choosing the lesser Evil or rather don't choose at all. 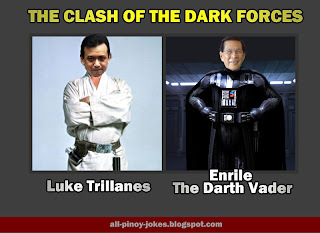 Enrile went a lot of rivals and can win with experience while Trillanes is like Anakin Skywalker who's not yet completely perceived by the Dark Side. 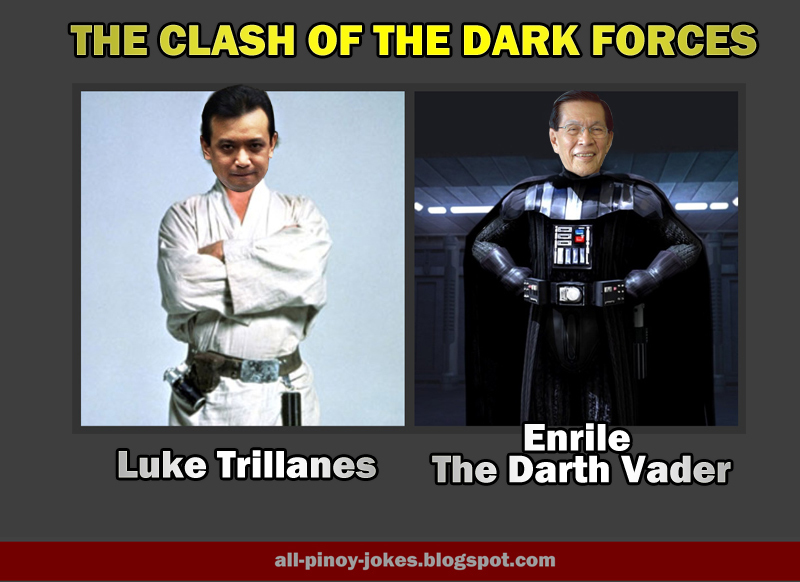 Enrile is the Darth Vader of the Philippines politics, in all the things he's doing there always something a dark force enveloped with his plan. 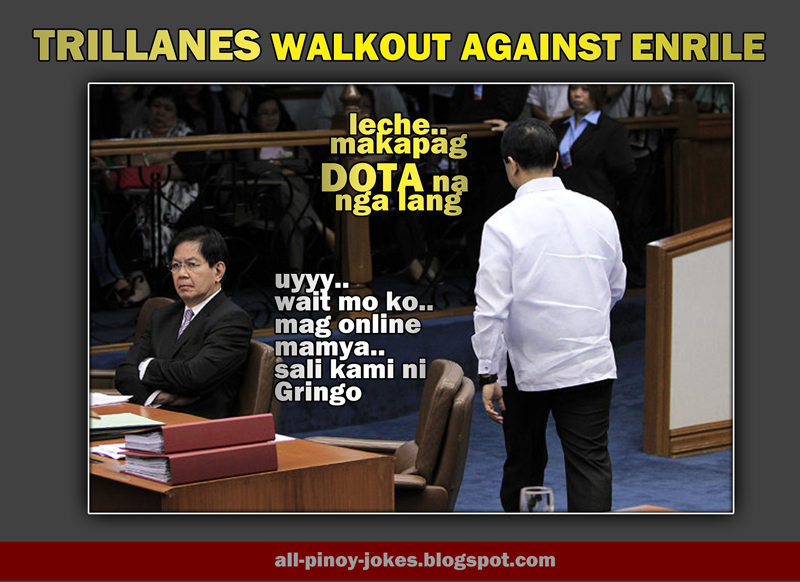 Gusto ni Manong .. 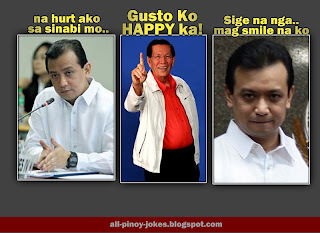 Happy Ka! When a Soldier fallen from Battle we will fight back.. in his on way..
...hahaha what a way to start the day with! !